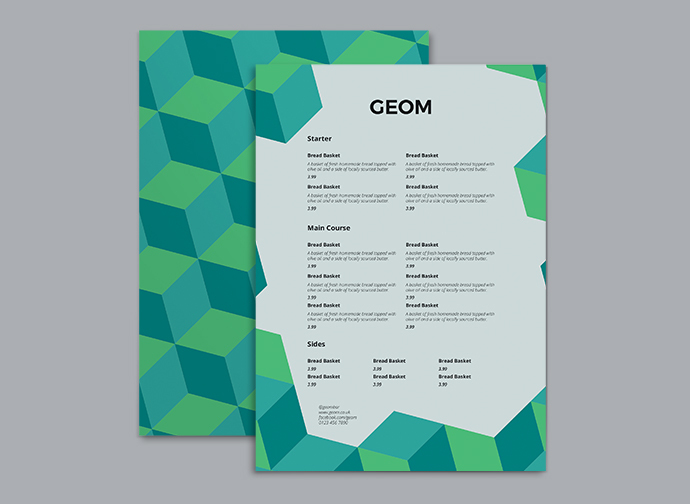 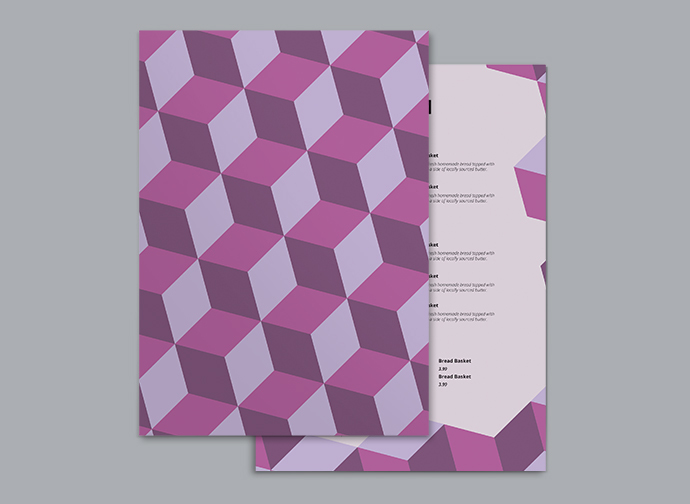 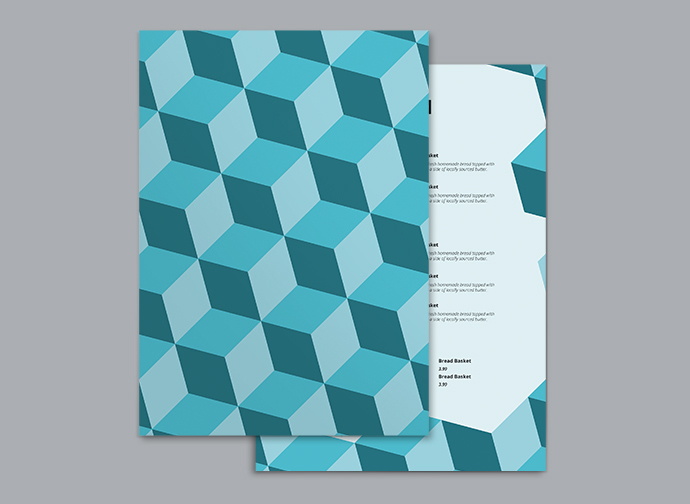 Geom Purple – This amethyst tri-tone menu design gives a 3D effect and is ideal for modern eateries and bars. 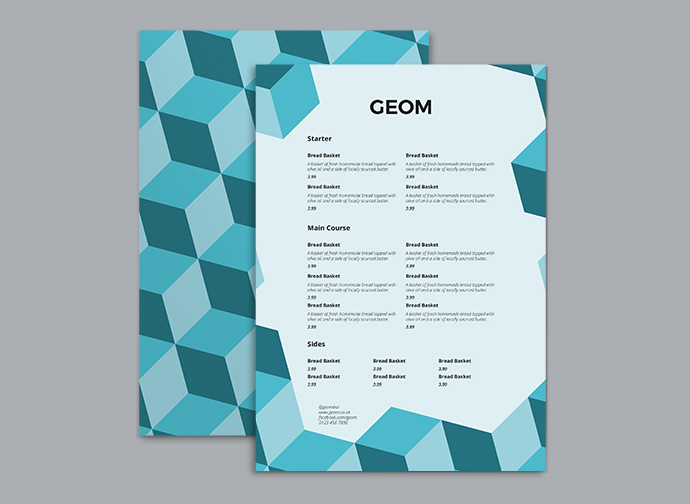 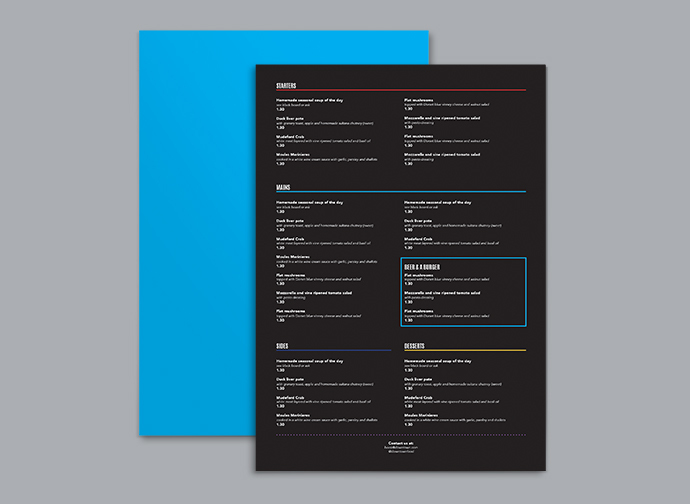 Add your own items to this upbeat and cool menu design. 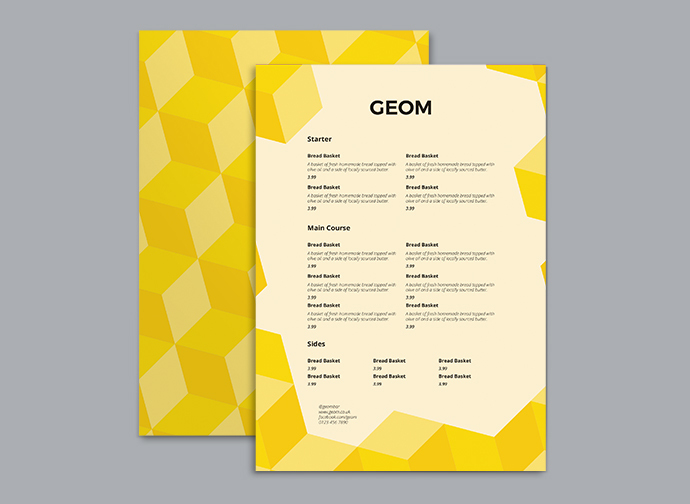 For urban cafes, bars and eateries. 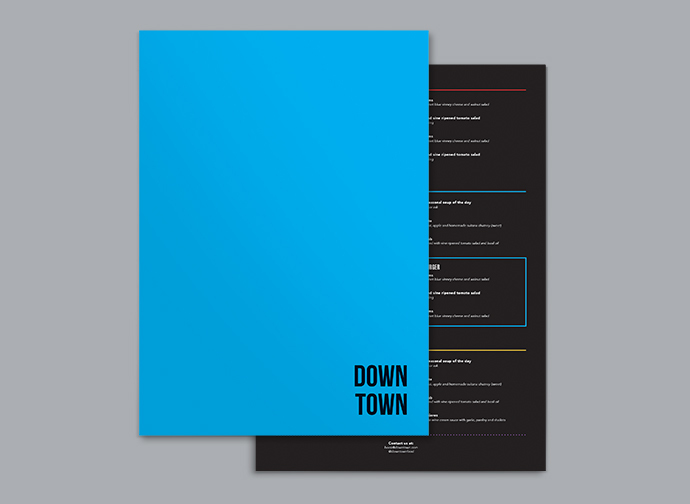 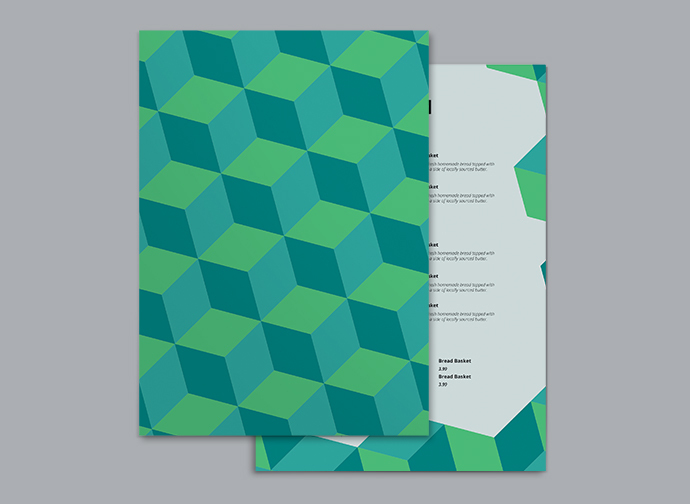 Down Town Green – This bold verdant menu design happily suits urban cafes, bars and eateries. 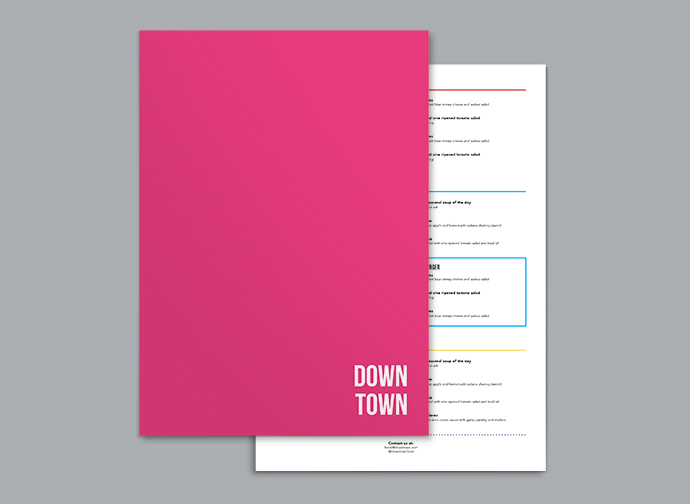 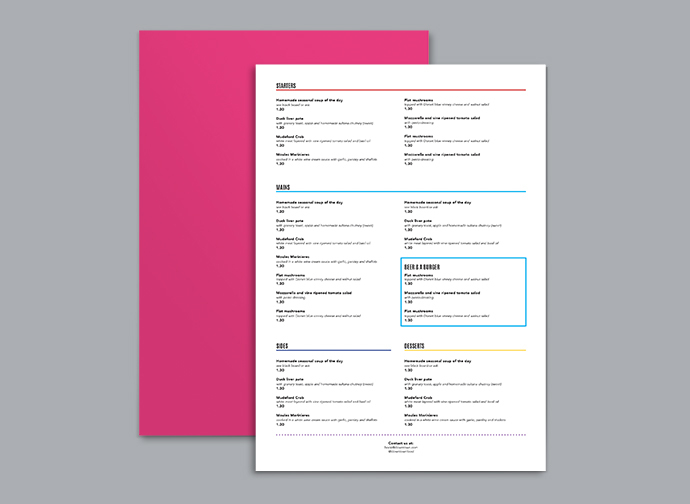 Down Town Pink – This bubbly and lively menu design perfectly suits urban cafes, bars and eateries. 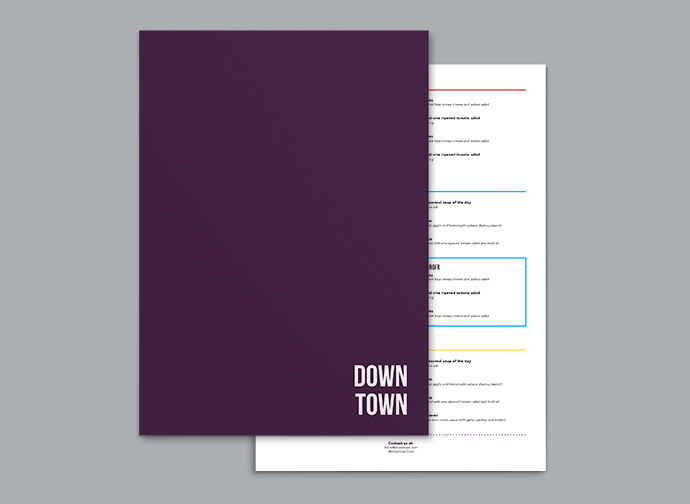 Down Town Purple – This cultured and cosmopolitan modern menu design is perfect for urban cafes, bars and eateries. 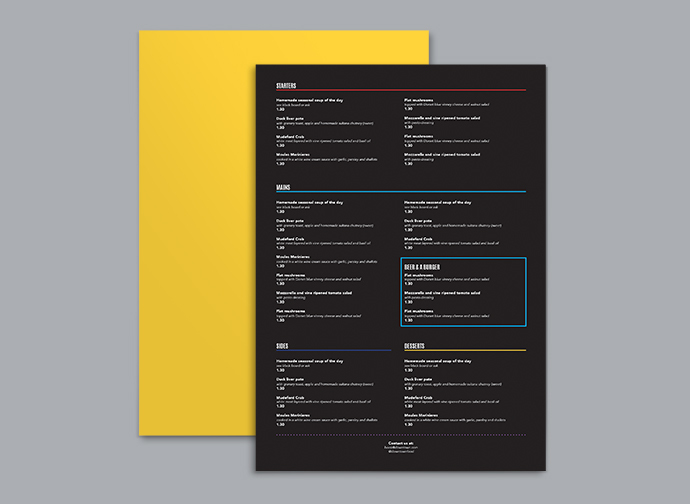 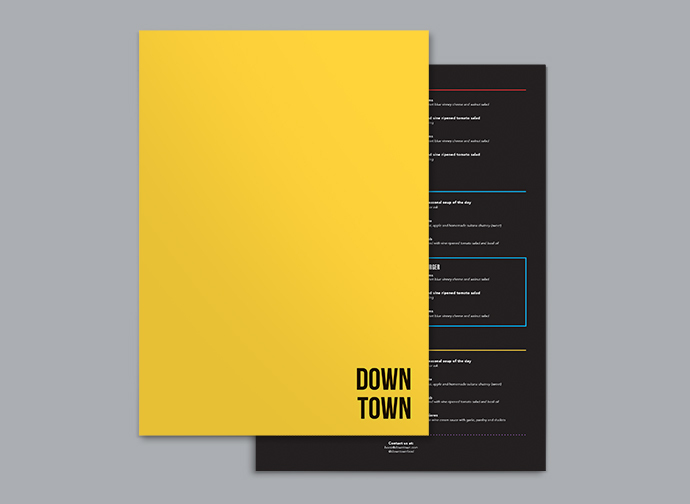 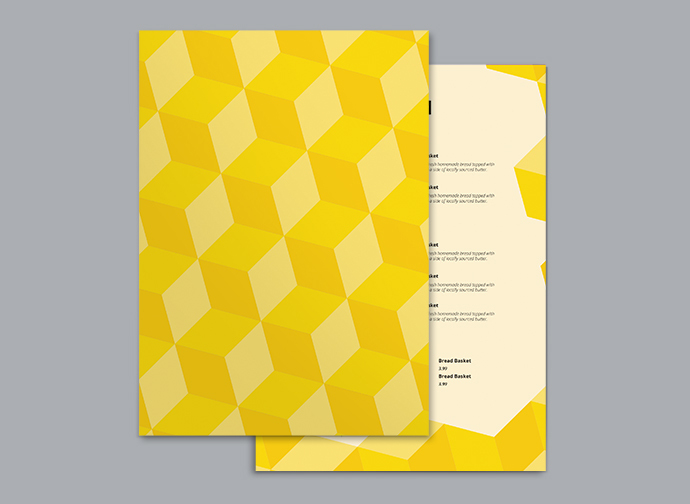 Down Town Yellow – A bright and cheerful modern menu design for urban cafes, bars and eateries. 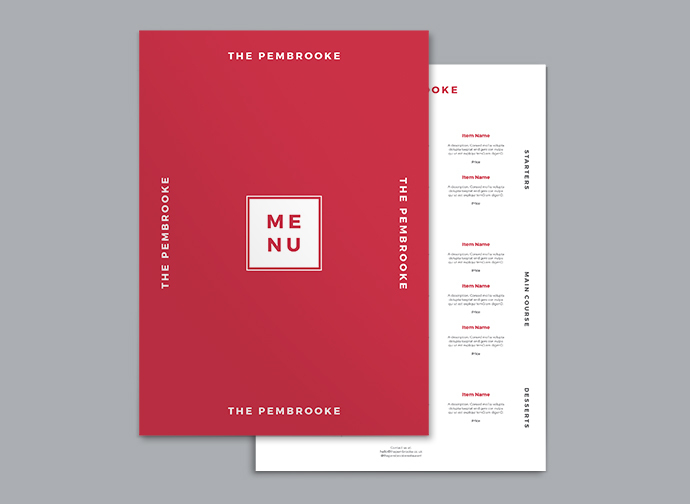 The Pembrooke Red - A neat, clear and well laid-out bright red menu design for bars, bistros and restaurants. Please note that there is no undo feature and if you click Delete then this project will be permentantly removed.